Categories: Abruzzo, Imported Wines, Italy. Tags: Abruzzo, DOP, IGT, Imported, Italy, Red Wine, White Wine. Cantina Tollo’s wines are pleasant, well-made, clean offerings that represent bargains given today’s super-high wine prices. Cantina Tollo is located in the Italian village of Tollo in the region of Abruzzo. The origins of the business, which sprang from need, are firmly rooted in local history. The wine growers may have had neither name nor lineage but produced a wine that merited a position alongside more aristocratic vintages. The ancient tradition of winemaking in this part of the country is inseparably linked with the plight of the southern peasant farmers who were poor and owned just enough land to provide for the immediate family. The requirement to earn enough to live led to a solution in grapes and wine. One could say that their wine was truly life giving. "The best wine producer in Europe 2010"
Cantina Tollo wines are rooted in a territory with an ancient wine-producing tradition and in an ideal microclimate unique in the world characterised by mild sea breezes and cool currents coming in from the Maiella. Cantina Tollo was set up in 1960, twenty local people set up a collective with the objective of providing a Cantina for the grapes of the local farmers. They were mostly small farmers with a tiny patch of land to their credit. 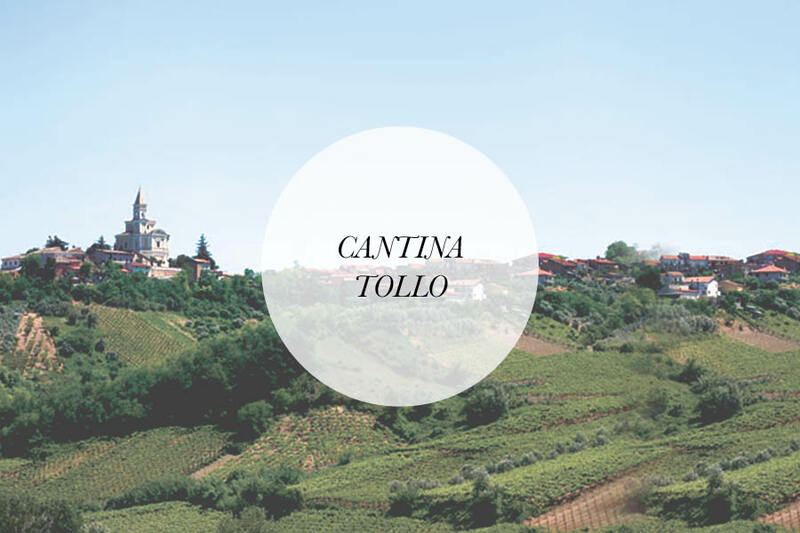 Today, Cantina Tollo continues to provide true expression of both fruit and appellation. Natural splendour abounds in Abruzzo, a region which stretches out from the mountains down to the sea, and the only in Europe to have devoted a third of its territory to nature reserves. This patrimony is protected tenaciously by the Abruzzo people with their abiding vocation for vine-growing which has persisted down the ages. 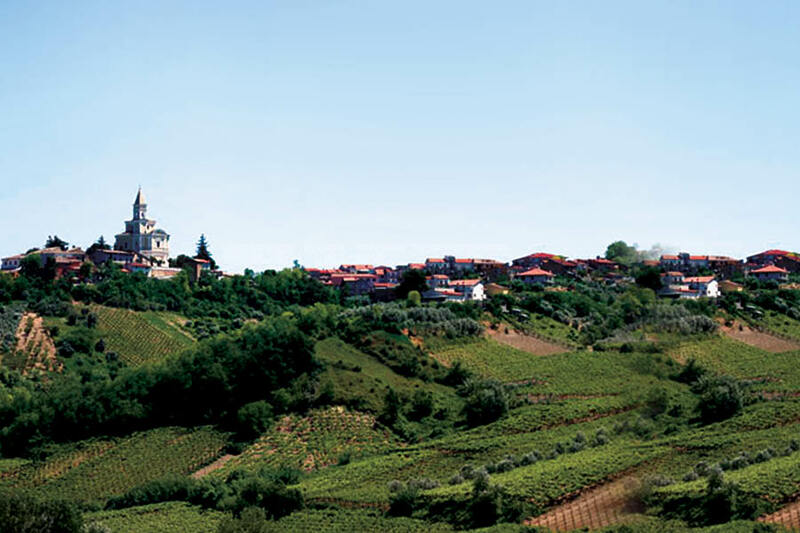 In the kingdom of the vine, Tollo is the prince among villages, and history clearly testifies to this: its vineyards have been mentioned since Hannibal's time. 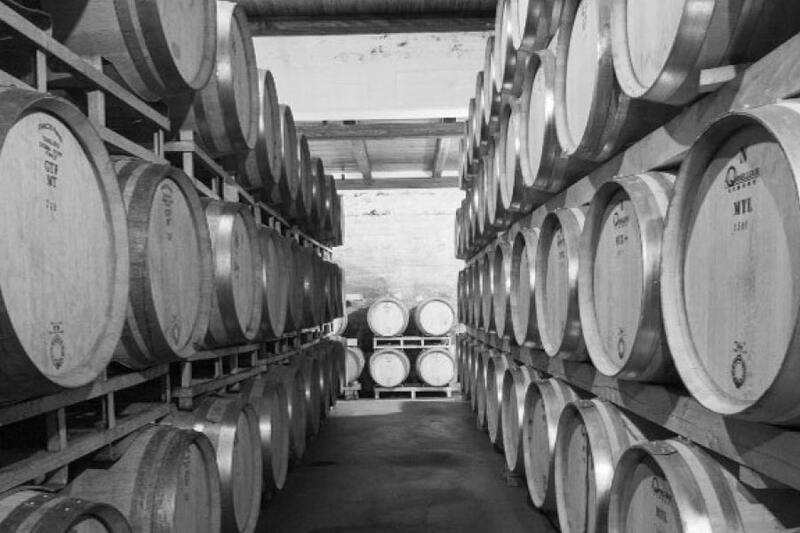 In this corner of paradise, now recognised as a “Wine Town”, Cantina Tollo was founded over 40 years ago. This cooperative grew out of the passion of a handful of associates, and today it is emblematic of the Abruzzo approach to winemaking – above all else in the business comes the pride in expressing a strong cultural identity. However important man's dedication may be, it would be in vain without the benevolent influence and interaction of the seasons, the climate and the soil. The majority of the hilly terrain used to grow Cantina Tollo grapes is made up of an average sandy-clay mix with a density which varies according to the gradient of incline and the direction faced. The gentle breeze from the Adriatic helps create a favourably mild climate over the hills, bringing the right amount of rain and high levels of sunshine. All that remains is for the variations in temperature and winds coming from opposite directions, as inevitably occurs when the mountains face the sea, to work their magic, allowing the wines made to develop their characteristic intense bouquet.